In an environment of concurrent engineering, design process sees various choices and decisions generated by actors involved in the design project. That results multiple interactions and disagreement between them. Besides, many product data and knowledge are modified and changed throughout this dynamic process. To capitalize and have traceability of knowledge modifications, we need to versioning those pieces of knowledge. 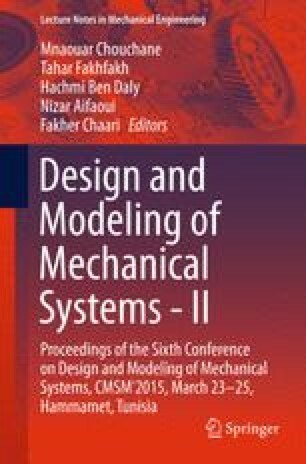 This paper aims firstly to illustrate the dynamic structure of the design process. On the other hand, to explain our model of knowledge versioning dynamics, through annotations and changes generated throughout a collaborative design process. The model aims to dynamically build a project library that traces the history of engineering process and capitalizes knowledge related to the product, in order to re-use this informational inheritance.